Windows Live Spaces is a virtual community developed by Microsoft, it has numerous user groups. 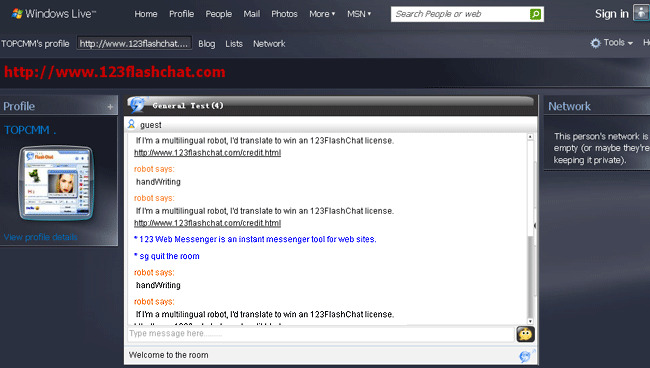 You can embed "123 Flash Chat" to Shared Spaces of "Windows Live Spaces", in this way, you have created a chatroom in your blog, it's convenience for visitors to communicate. To learn more about the feature, please click here.